What EMR & Medical Software Options are available for doctors who use an Apple Mac ! In the Health Care industry EMR’s, Practice Management Software’s and other Clinical Productivity Tools are primarily built for the ubiquitously available Windows platforms. A huge number are also available for Linux, most of these Open Source, and a very small number for the Macs. In the United States, the EMR business is filled in with over 300 major vendors, however as per this report by from Software Advice there are 8 vendors offering EMR's natively built for the Mac's in the United States. Very few vendors actually support the Mac. Many doctors over the years have wanted a Mac, but would’nt get one due to the lack of Medical Softwares for it. Though lately there has been a surge in the number of vendors promising native Mac versions in the future. For an EMR to be natively supported on a Mac, The EMR program’s software code must be understood by the Mac ; In simpler terms, The program must speak the Mac’s language and follow the Mac’s set of rules. Windows has its own set of rules and they are different from a Mac. So a program made for Windows unfortunately may not run on a Mac. For an EMR to natively run on a Mac, its underlying code must be understood by the Mac, and it must be following the rules of the Mac. Given this criteria and the fact that the number of Mac based software are few, what jugaad can be done to provide more choices to the Mac users? A Virtual Machine is a type of software used to create a Virtual Environment, which is referred to as Virtualization. Virtualization may be used to run multiple operating systems at the same time on one Physical Machine. Through the help of a virtual machine, the user can operate software built for one Platform (Or Operating System) on another. THUS A SOFTWARE NEED NOT BE NATIVELY SUPPORTED ON A PLATFORM TO BE USED BY IT ANY MORE, AS LONG AS YOU CAN USE A VIRTUAL MACHINE WHICH ALLOWS YOU TO USE IT ON THE INCOMPATIBLE PLATFORM. Here is a link to 2 fantastic Virtual Machines for the interested. As always, feel free to drop me a line at n.nihalani AT plus91.in for any help. 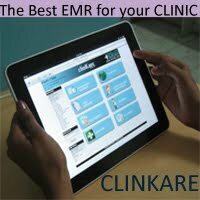 In recent times, whether it is due to Apple’s advertising or the Word of Mouth spread that works with Doctors, a Number of Indian Doctors have told us that they are buying a Mac; and if the Clinkare Physician EMR would be supported on it. Yes of Course! Both the desktop version and the SaaS version are supported on the Macs. 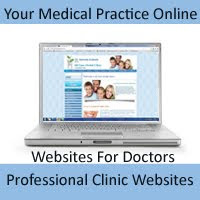 Web Based EMR's are EMR's which can be used directly via your browser, the same browser you are using to read this article. They are usually available on a remote internet connected server and thus free you as a user from worrying about the nitty gritties of configurations, operating systems and the administration issues which come with time due to these. One can’t agree more. Every Web Based EMR vendor, knows that their EMR can be used using a Windows , a Mac, a Ubuntu; Users can even use the EMR’s on Tablet PC’s as well as Low Cost Netbooks. There has been a surge in the adoption of the iPads in many health care institutions(pictures below), here in India, and as reported in the United States, United Kingdom and Singapore. iPads with their form factor well suited for use by On Round Doctors in In-Patient Wards, Nurses while taking down Vitals in Charts and even Assistants in OT’s for Managing Checklists are a hit. With Virtualization being available and Web Based EMR’s being the popular flavor with vendors, there are now choices available to Physicians and Clinics for Medical Software which can be used with their Mac’s.